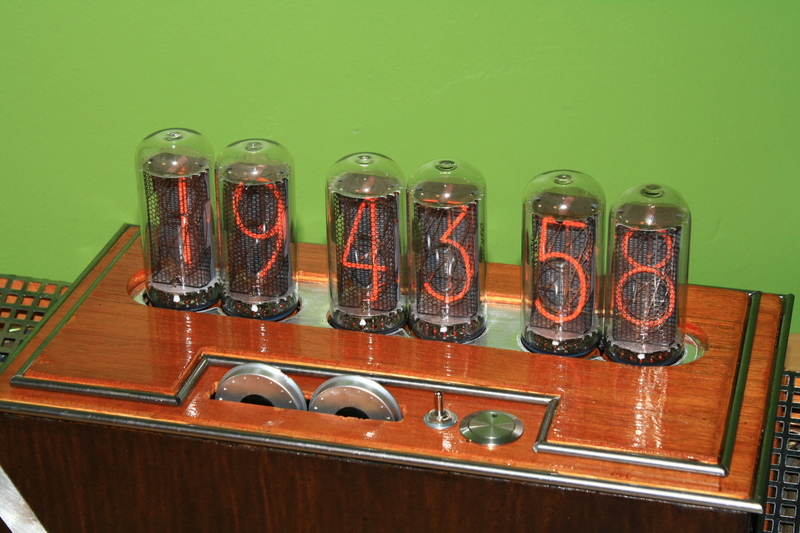 This nixie clock is the first Arduino project I did (after blink). As such a "discovery" project, I didn't dwell much into hardware, buying pre-conceived PCB and simply soldering them instead of designing my own circuits. Still, it was an interesting introduction to electronics and programming, as I really didn't know what a microncontroller was beforehand. For my next projects, I plan to gradually work more on hardware. Pictures of this clock can be found on this photo album. There's also a few videos you may like to check : general presentation, alarm function, digit cycle subroutine, and wireless control. Total project cost (estimated) : 500 €. Like most digital clocks nowadays, this one can display time, date and has a music file-based alarm. But unlike them, these values are not displayed on cheap LED 7-segment displays, but rather on these much more beautiful gas-filled tubes called nixies. Let's have a quick overview. 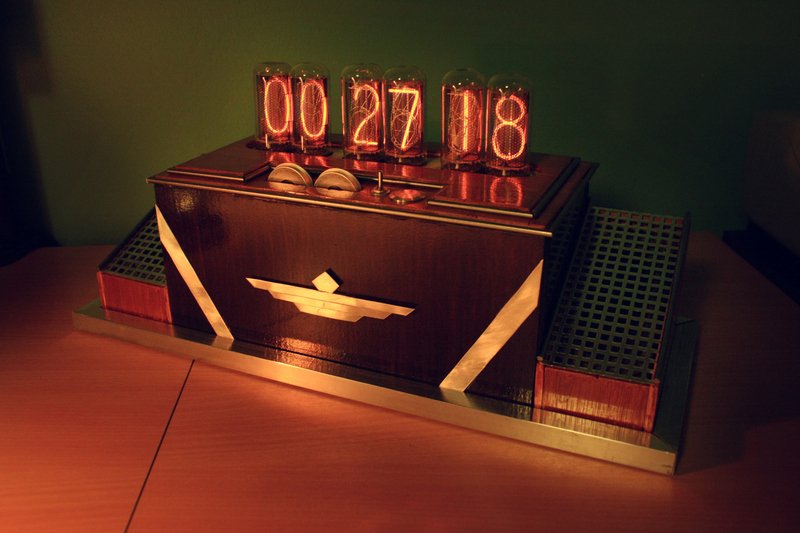 This clock uses two Arduino Uno microcontrollers. 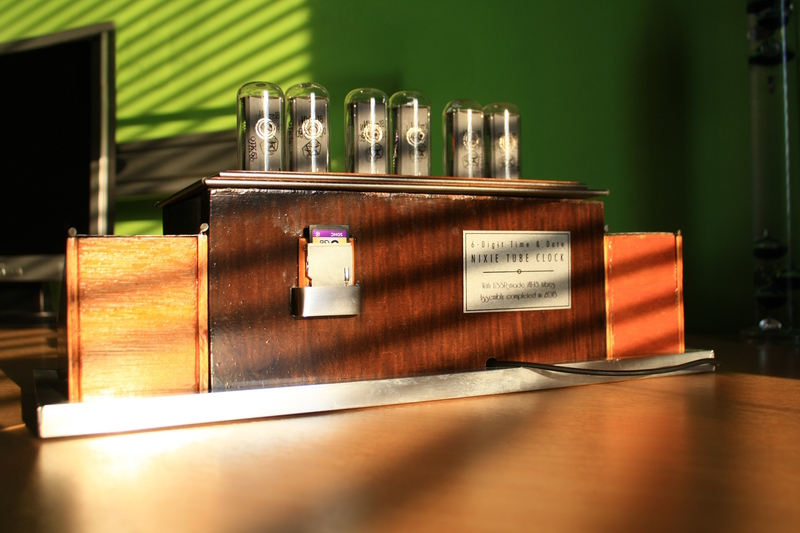 One of them is responsible for the time and date calculation and setting, alarm setting, and multiplexing for the nixie drivers. The other one receives commands from the remote control (also built around Arduino) and plays the alarm. They communicate via general-purpose inputs/outputs.